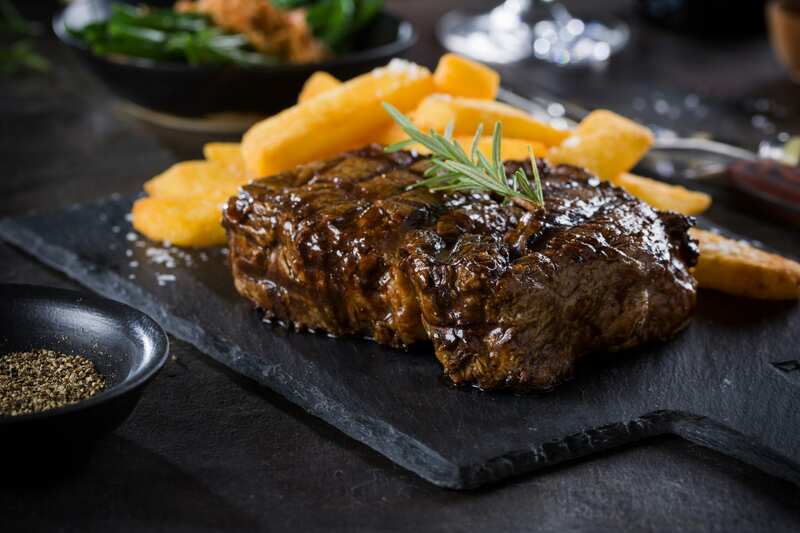 Have a steak as big as your head at The Hussar Grill in Camps Bay | Eat. Play. Drink. Cape Town. 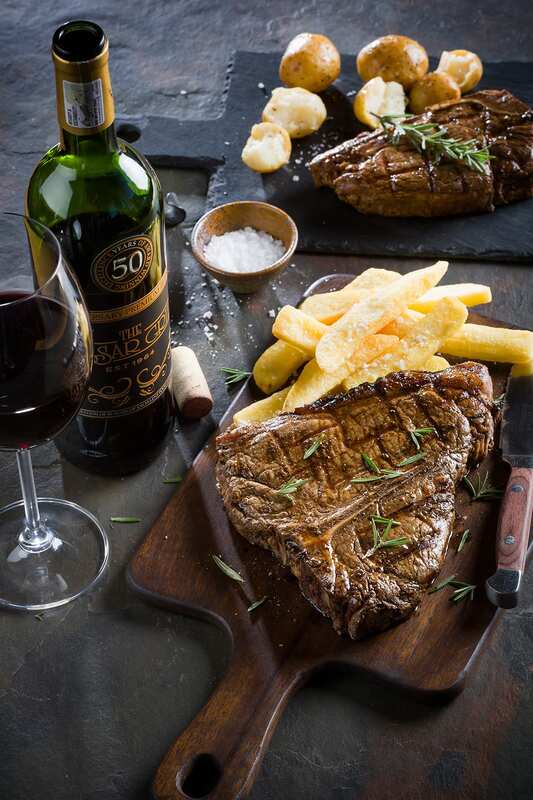 IF anyone is still labouring under the misconception that only men have appetites to match enormous steaks and copious red wine, let me tell you this story about the dinner my friend Marchané and I had last week at The Hussar Grill in Camps Bay. First, a little background: if someone tells me an item is almost sold out, limited edition, or can only be had right there, right now – I’m going to buy it. All of it. It can be wine (happens more often than you’d think), or a garment, or, as in this case, a cut of steak. At The Hussar they bring that huge wooden board with all the raw cuts displayed, which are then explained to you. At this particular branch, they were understandably proud of their tomahawk, adding that it’s only available here and barely anywhere else in the country. Fact or not, everything else faded into insignificance. The only place, you say? Bring it on. Ribeye is already my favourite anyway. It’s pertinent to mention, the Hussar tomahawk weighs in at close to a kilogram with its bone, and somewhere significantly above half a kg without. Did this information stop us having starters as well? No, it did not. I tucked into a bowl of grilled fat offcuts (LCHF people, ask for this at steakhouses as it’s often chucked out and is a delicious snack), and Marchané had a nice healthy salad. See? Something for everyone. 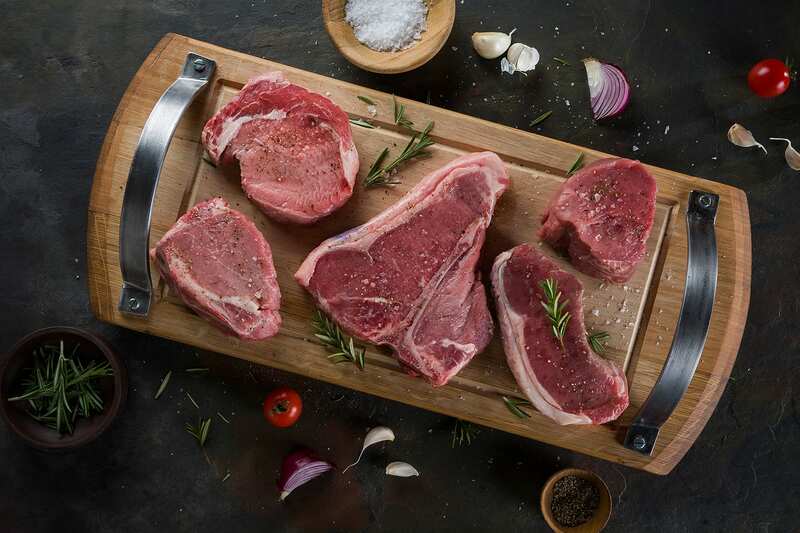 By the time our main courses arrived – we BOTH ordered the tomahawk – we’d already made serious inroads with the bottle of 50th anniversary red wine and had to order another. We fell upon the steaks like wolves, and I’d love to say we made short work of them but that would be a lie. As delicious as they were, the steaks defeated us. Take away containers were filled and the leftovers did two more meals for me. The bone went to my favourite pit bull, William. It was a very merry old time, and finished with a couple of rounds of Hussar’s famous chocolate martinis. Which might go some way to explaining the out of focus photos at the end of the night, which were in stark comparison to the lovely tidy ones at the beginning.